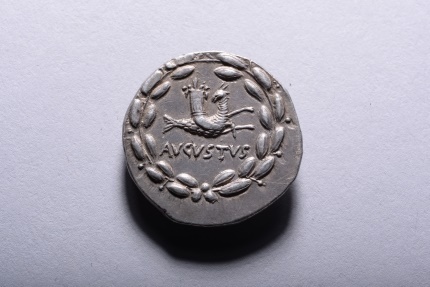 A large, impressive ancient Roman silver cistophoric tetradrachm. 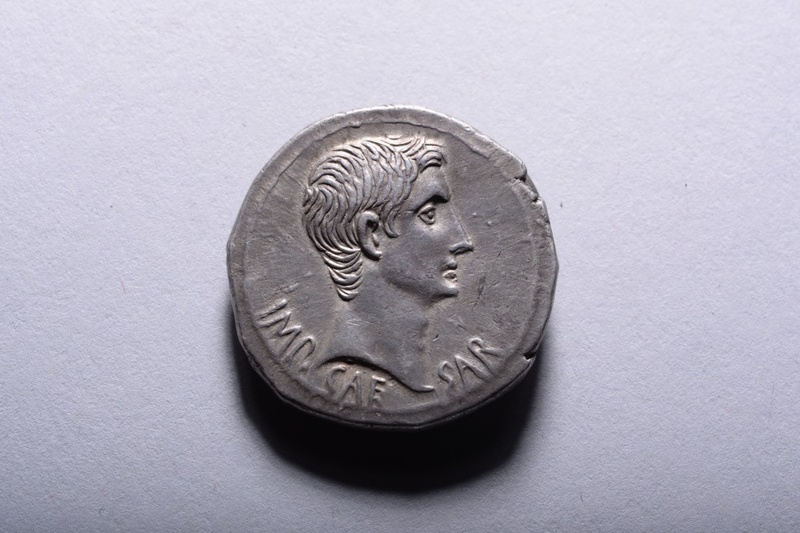 Minted under the very first Emperor of Rome, Augustus (Gaius Julius Caesar Octavianus). Struck 25 - 20 BC at the Ephesus mint, Asia Minor. The cistophorus or cistophoric tetradrachm was introduced in the Kingdom of Pergamum, western Asia Minor in the early 2nd Century BC. The denomination acquired its name from the standard depiction of a cista mystica, or sacred basket containing a serpent, on the obverse. In 133 BC the Kingdom came under Roman dominion and it was decided that the denomination should remain as a three-denarius piece. However, when Augustus came to power he decided to replace the old type with his own portrait and a variety of reverse types, including his birth symbol of the Capricorn, seen here. An extremely fine example, beautifully centred with delightful old cabinet toning and with a superb portrait of Augustus. One of the nicest coins of this type to appear on the market in recent times. Ex French private collection acquired in the 1980's. Previously with M. Parsy.